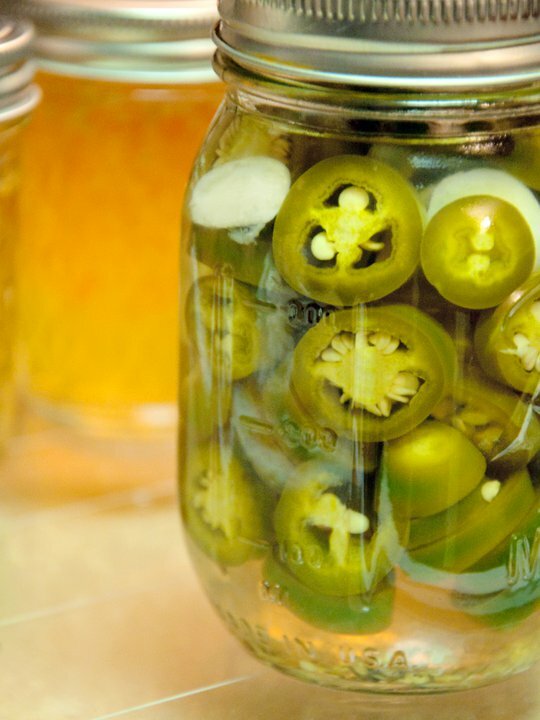 Pack the jalapeños in a glass jar. In a saucepan, add the rest of the ingredients and simmer for about 5 minutes. Pour the hot pickling liquid over the jalapeños and let it rest for a few hours. Shake it up a little so that the peppercorns are evenly distributed. For a crunchy bite, you can start nibbling on them within a few hours. As for softer texture, let this sit for 4-5 days. Keep refrigerated for upto two months or can it according to jar manufacturer’s instructions.